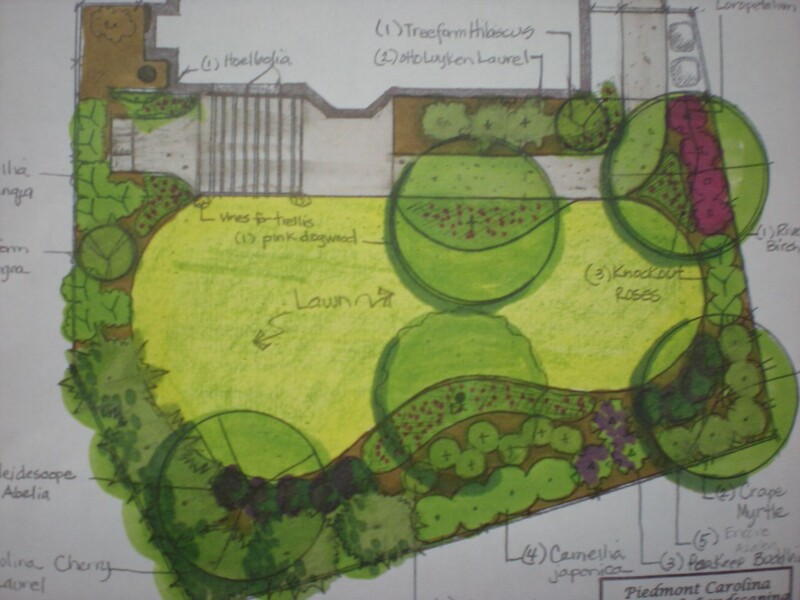 A good landscape design is a road map to success! Our design team can coordinate your outdoor needs into a comprehensive plan for all or any part of your property so you can Live Well, Relax and Enjoy your new outdoor living environment. Start the process today to create a plan for your landscape. Well over 50 years of combined landscape design experience in the Piedmont area. NCSU degrees in horticulture science and landscape design. We’re qualified to design all of your outdoor landscape needs from plants to patios. After your initial consultation there is a fee for design services. View more examples of great landscape designs!